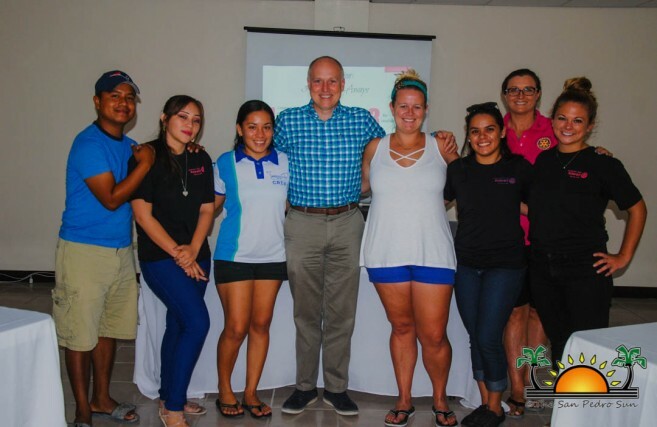 On Saturday, April 14th, the Rotaract Club of Ambergris Caye held the first of their many scheduled professional development courses aimed at helping young adults on Ambergris Caye. 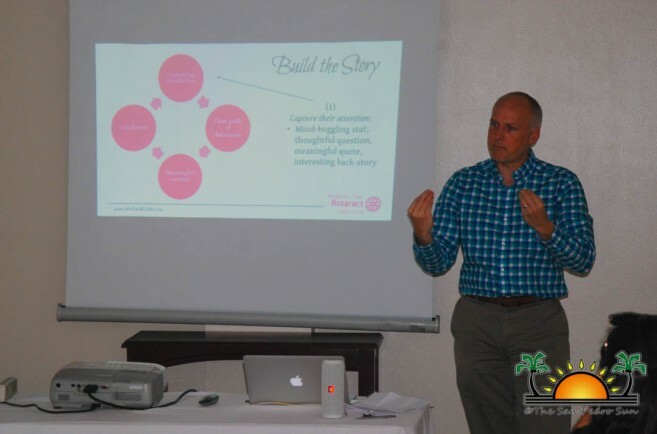 The event was a public speaking workshop hosted by experienced public speaker Michael Cobb, Chief Executive Officer and Chairman of a development group on the island. 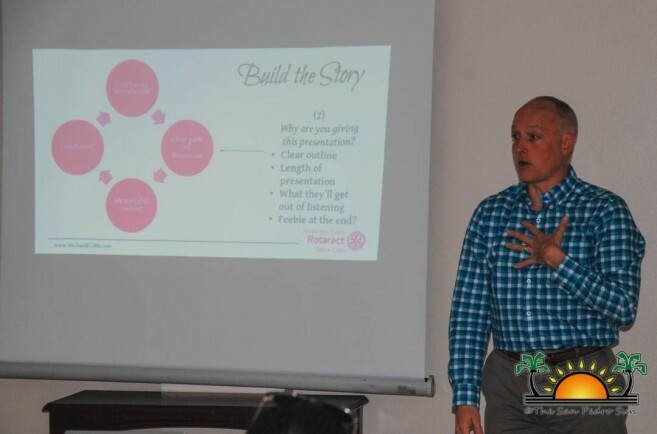 During the workshop, he shared very important tips on how to effectively deliver a speech and captivate an audience. Cobb explained that when addressing an audience, the speaker should be precise and confident when telling the story. “Create a clear, entertaining storyline that caters to your audience,” he said. “Get familiar with the topic, make contact with someone in the audience so you can establish a connection and become confident. Then go ahead and tell a story.” Cobb stated that practicing also helps a lot before a speech, but on many occasions, a person should draw on their confidence. “Just get up there and do it,” says Cobb. The session included interactive exercises, in which participants were involved in speech scenarios before the other attendees. According to Rotaract and organizer, Rachel Jensen, the lesson is expected to make the participants stronger, confident and skilled individuals. “We realize that a lot of people are afraid of public speaking and this session teaches them how to easier handle it. As they grow older, we expect them to apply these skills to real-life situations,” said Jensen. She explained that the idea for such a workshop started with a club committee discussion on the kind of skills people want to learn, and public speaking was at the forefront. Jensen says that every month there will be a different course, with guest speakers versed in the topic of that particular session. She believes that the monthly events are a way to ramp up the professional development courses the club expects to expand in the future. The next workshop will take place in May, and will cover Customer Service. A date and venue are yet to be announced. Rotaract Clubs bring together people ages 18-30 to exchange ideas with leaders in the community, developing leadership and professional skills, while having fun through service. From big cities to rural villages, Rotaract is changing communities.